AllCore’s PCI Compliant E-Commerce Hosting packages were designed to provide Internet dependent businesses with a superior level of service and support. All of AllCore’s E-Commerce Hosting packages are GUARANTEED to be PCI COMPLIANT. Each feature and option was carefully selected to provide an unparalleled internet experience. One of the key aspects of our E-Commerce Hosting package is the limits we have imposed; no more than 10 clients will be placed on the same server. This change allows us to guarantee the quality of service that is included with our E-Commerce Hosting packages. 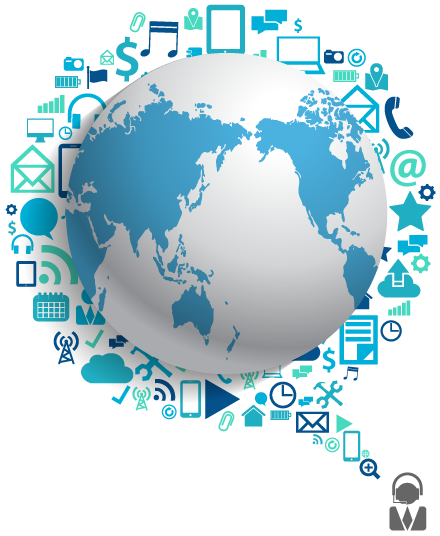 Along with better service you will receive Premium support and Advance SPAM & Virus Protection. Bypass our Level I and Level II technical support teams and deal directly with our Level III Support team for any technical support issues you may have. 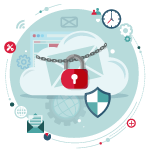 You will get our Advanced SPAM & Virus protection for 10 e-mail addresses for free and it includes redundant clustered e-mail servers to provide the best service and availability for your e-mail. Our E-Commerce Hosting packages are all on PCI Compliant servers. 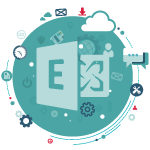 Enabled to provide Hosted Microsoft Exchange 2013, Blackberry E-Commerce Server (BES), Active Sync and Outlook Web Access. Intuitive product that allows website owners to maintain their sites easily. To minimize setup time, cPanel includes a Getting Started Wizard, which walks new users through the initial configuration of an account. Users also have access to built-in video tutorials and on-screen documentation, for step-by-step instructions and other useful information. 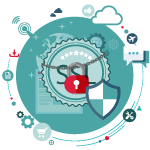 Includes a GeoTrust SSL Certificate to secure your website so you can take credit card transactions and personal information online. Our Advanced SPAM & Virus protection enables each e-mail account to have their own unique white and black lists. The system also tracks SPAM trends to intelligently prevent SPAM from entering your inbox. It also provides you with a daily report of e-mail messages that were blocked, so you never have to worry about missing important messages from a client or customer. Why Choose AllCore E-Commerce Hosting? Our website hosting plans have been built with our clients in mind, each package was designed around a business type and size. 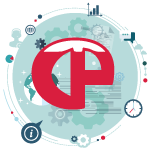 Our packages have rich features, low user counts on servers and are backed by our own in-house technical support team. Need help picking the right package? Ask our team about which hosting package is the right choice for your business and find out more about our free add-ons.